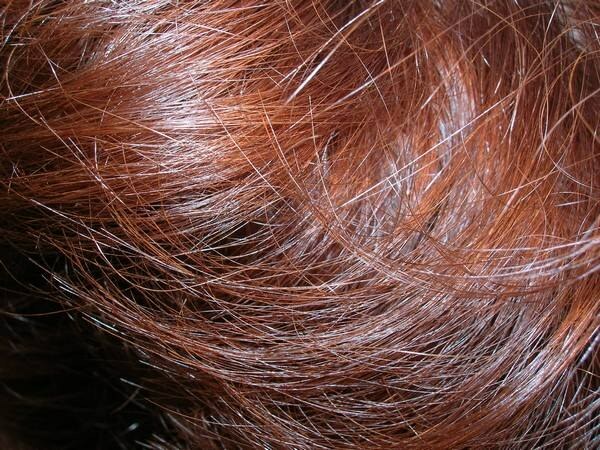 Toning hair is the color of unstable dyes or light coloring means. This method of staining appealing to many women as it allows you to try different options and determine the best color. Toning is quickly washed away, but in some cases it is necessary to get rid of it. Typically, conventional toners are washed away by shampoo. Well and carefully wash the head, causing him several times on the hair. But some tinting is more stable. Try to use soap – lather their hair and leave it for a while. Rinse off soap and shampoo. This procedure can be repeated several times in a row. After the first time hair color will become more dull gradually and completely washed away. Also washes well tinted sea water. Buy sea salt and dissolve in water, wash her head. If soap and shampoo do not help, buy special products for washes, which are sold in cosmetology salons or special stores. Follow the instructions on the packaging to rinse off the tinted glass. Make a mask for hair of burdock oil, apply and cover with a towel. You can buy a special mask on the basis of this oil, and you can just apply the usual warmed oil to your hair. Leave for a couple of hours, then rinse with plenty of water. Rinse your hair with shampoo. If one such procedure failed, repeat it every day before shampooing. Harm oil will not cause it has a healing effect, strengthens the hair and makes it manageable. Instead of oil you can use Flaxseed – it also heals the hair and gives them softness. If these methods do not help, go to a Barber shop. There you can make dekolirovaniya. But be aware that some paint and stain for example, black or red – it is difficult to wash off, and sometimes the hair does not allow for such a procedure. The master necessarily will tell about it and recommend if you need to refrain from restoring your original color. In this case, listen to a professional, otherwise you can lose or mess up hair. Coloring shampoos can emphasize the natural color hair women, giving it a deeper shade. They give you the opportunity to experiment with hair color without fear of fatal consequences. The pigments included in the composition of the colorant does not penetrate into the hair structure, and are distributed on their surface, so wash out after a few treatments, shampooing. But sometimes it so happens that a new shade is not approached and wash it out faster. If you applied a toning shampoo in accordance with the enclosed instructions and strictly follow all the recommendations, the shade will gradually fade and almost completely washed away for 7-10 times. Wash your hair daily, then a week later, the shade that does not suit you, will disappear. In that case, if the toning shampoo was applied on bleached hair or on fresh Perm, can be unpredictable and quite long-lasting colour effect. It happens if you used a different color shampoos, before completely washed away the previous color. In this case, the solution may be a repaint. Do it from professional masters, who will pick up the right shade and correct hair color. There are special professional tools, with which you can wash off even persistent hair dye. They are produced by cosmetic companies and companies in the hair care and represent usually shampoo and deep cleaning emulsion for removing paint from hair. To make the tone less bright and intense, you can put on the hair mask. Its purpose is different, but the effect it also will allow you to obtain. Use folk remedies – oil or kefir masks. Kefir apply to hair, put a rubber or plastic cap and wrap head with a towel. Leave the mask on hair for 1.5 – 2 hours, then rinse with warm water. The pharmacy can buy black soap "Grandmother Agafya", wash the head several times, the paint should go. This soap is natural and does not contain substances capable of causing great harm to hair. But after all the recovery procedures still do a couple times a hydrating mask for your hair to come to life after all these stress. Girls love to change your look and experiment with color hair. If you have used the hair tonic, the color of which is not quite you, don't worry. There are many safe ways that will help to wash away tonic with your locks. To wash away the conditioner colored hair, you can use the following mask, which will not only save you from unwanted color, but also heal the hair. Take a couple tablespoons of burdock oil, and gently reheat in a water bath. There also squeeze a few drops of fresh lemon juice and mix thoroughly. Then apply the prepared oil mixture on your hair and distribute evenly throughout its length. Twist hair into a bun and put on a plastic cap, then a warm towel. Leave the mask on for a few hours. If you are the owner of dry hair, the time should be reduced to one hour. Then rinse the mask with warm water and add shampoo. If necessary, repeat this procedure every other day. The most simple, safe and effective method that will rid you of the unwanted hair tint – wash the head several times during the day, and you will immediately see the result (because tonic water has no strong effect on the hair, it's just shampoo). After each wash it is advisable to use a balm or a mask, so you kill two birds with one stone: clean & wash, and the hair treated, which is important for the owners of the chic hairstyle. As you know, the yogurt and kefir have washing and bleaching qualities, but also improve the hair structure. Make a mask out of yogurt (pre-heated to forty degrees) and spread it evenly over the entire length of hair and massage into the scalp. Leave the yogurt mask for a few hours (the longer, the better the effect), then rinse with warm water and shampoo. You can use a professional tool for washing paint out of my hair. But, first, it is not so safe for your hair, and secondly, this remedy is not recommended for use independently at home. Contact the beauty salon to a qualified professional where the procedure will do at the highest level.